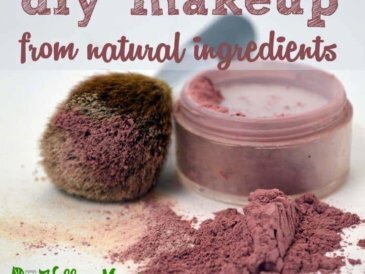 If we’re going to go through the trouble of applying natural DIY makeup, it makes sense to have a natural way to remove it. After battling acne-prone skin when I was younger, I’ve made it a priority to take good care of my skin. 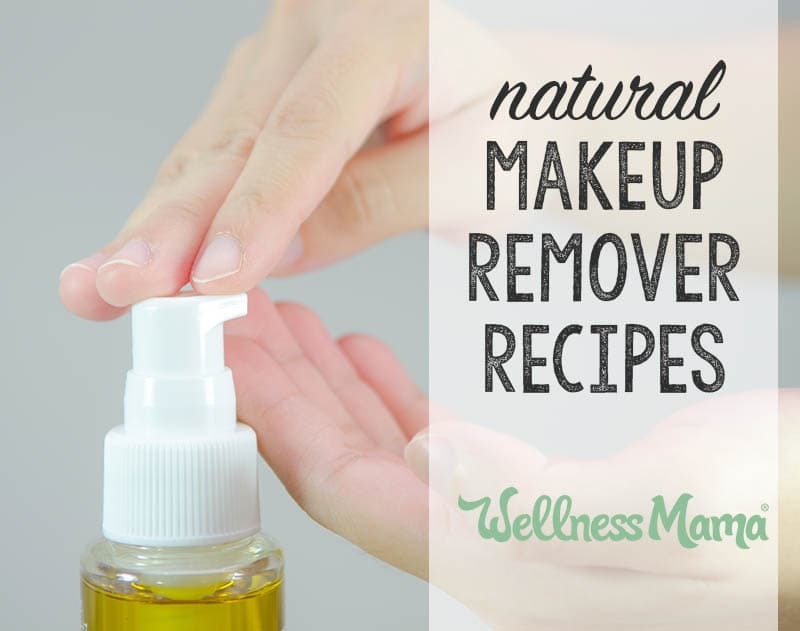 I’ve found some great natural solutions for healthy, glowing skin through experimentation over the years, and below I’ll give you my best DIY makeup remover tips. Why Wear Makeup at All? Let’s be honest, just because you’re a “Wellness Mama” doesn’t mean you don’t like to feel pretty. From taking a soothing lavender bath, to lathering up with a homemade whipped body butter, to applying makeup, I’ve learned it pays off to go out of my way to take care of myself in simple, natural, inexpensive ways. With six little ones underfoot, it makes a big difference to do these little things for myself. So while I feel just fine on the days I don’t wear makeup (which are many), I appreciate having a few beauty tricks up my sleeve … while avoiding the harsh chemicals found in conventional products. 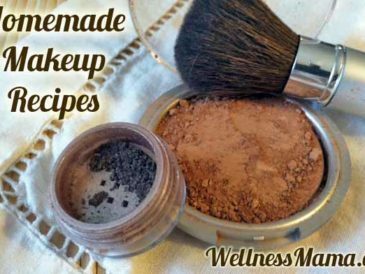 There are several great options for removing makeup naturally, and these are also great skincare recipes even on no makeup days. Oil cleansing is just what it sounds like: cleaning your face with oil. 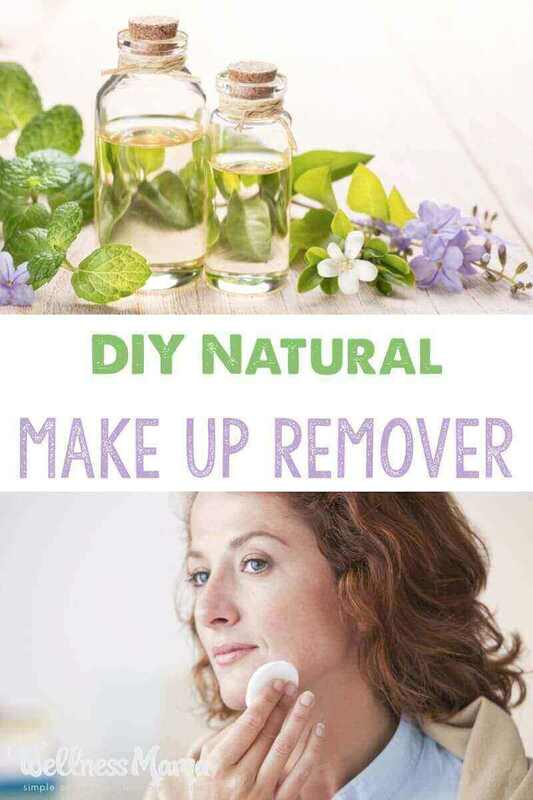 This DIY makeup remover may be the simplest of all. It sounds funny, but oil cleansing can actually dissolve excess oil in your pores. Using the right oils, you can balance overly dry or overly oily skin because oil cleansing can work for any skin type! 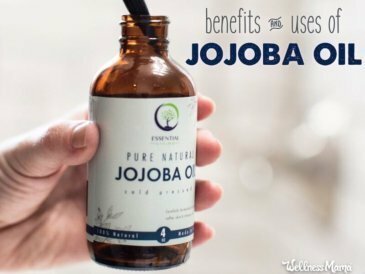 Popular oils to use for oil cleansing include castor and olive oil, but with some experimentation, you may find that other oils work well for your skin. Sunflower, safflower, avocado, and coconut oils may work as well. Personally, I’ve found a ratio of 3/4 olive oil to 1/4 castor or hazelnut oil is perfect for my skin. Dry Skin: All nourishing oils like olive oil, or a very small amount of castor/hazelnut oil added to the nourishing oils. Soak a clean washcloth in very hot water and wring it out before placing it over your face. Allow it to sit and steam your face for about a minute. Give your skin a wipe with the clean side of the cloth and allow the thin layer of oil left behind to remain and soak into your skin. I found that I had an adjustment period of about 3-4 weeks while my skin detoxed, during which I had increased breakouts. After my skin adjusted, it cleared right up and has looked great since! 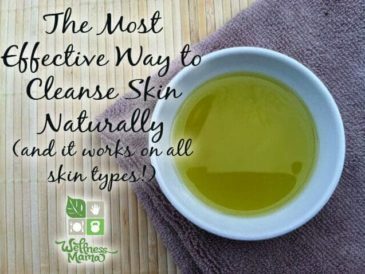 If you want to step up your oil cleansing a notch, you can try adding witch hazel. Made from the witch hazel shrub, witch hazel is basically an herbal extract or hydrosol. It has been used traditionally for skin problems and has a long history of use in the beauty industry. I love witch hazel as a multi-purpose remedy because it helps with a variety of skin conditions. It helps with spot-treating acne, soothing dry skin or itching, and removing makeup. Use witch hazel on its own or diluted 50:50 with water. Soak the corner of a washcloth or cotton makeup pad and remove makeup in circular motions. Combine aloe vera gel with a couple of skin-nourishing ingredients to whisk away makeup and impurities. In a small container, combine equal parts aloe vera gel and raw honey. Add 2 TBSP of your oil of choice for every 1 cup of cleanser. Use an immersion blender to combine the ingredients until a paste forms. Store in an airtight container, and be sure to keep your cleanser in the refrigerator if it contains fresh, preservative-free aloe vera. Use a small scoop of the cleanser to remove makeup by massaging it into the skin for one to two minutes before rinsing clean with cool water. I’ve written about the dangers of conventional baby wipes and why I make my own. Conventional, store-bought makeup removing wipes pose the same problems: chemical preservatives and other hormone disrupting, unnatural ingredients. Making your own makeup remover wipes is easy though! Combine everything but the cotton rounds in the jar and shake or use an immersion blender to combine well. Stack the cotton rounds in the jar, then gently shake it to coat them with the mixture. Use a cotton round to wipe your makeup off anytime you need a quick DIY makeup remover. The cleansing wipes are great for traveling! Naturally antibacterial honey fights acne and contains enzymes that help slough away dead skin cells. Simply use about a teaspoon of raw honey (I like either Manuka Honey or Raw Organic Honey) and rub between your hands. Spread it over your face and massage in a circular motion. Allow the honey to sit for 5-10 minutes before removing with a warm cloth. Once your skin dries, it will be fresh and dewy! I’ve always loved the feeling of a good scrub to exfoliate my skin and get rid of dead cells and microscopic dirt in order to get a glowing complexion. Combine walnut shells and castile soap in a small bowl; stir and set aside. Over low heat, combine the calendula oil with the emulsifying wax in a small pot or double boiler and warm until the wax has melted. In a separate pot, gently warm the aloe vera gel for a minute or two, then add it to the oil mixture and whisk to create an emulsion. Add the emulsion to the walnut shell mixture, along with the essential oil. Stir once more to combine well and store in an air-tight jar. 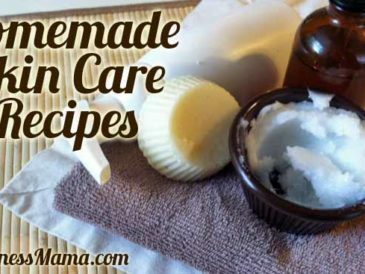 Massage about a 1/2 teaspoon over skin to cleanse, then rinse with warm water. Caution: As this is a scrub, avoid the eyes and use one of the other makeup remover recipes for eye makeup. I don’t know if there’s anything that smells more lovely or feminine than rose water. I make it for all sorts of things, including perfume, flavoring foods, uplifting my mood, and, of course, my beauty routine. Pump a squirt of this cleanser into clean hands or on a clean washcloth and massage over your face in a circular motion until clean. Demystify Safe, Natural Skin Care! Going the DIY route with your skin care routine doesn’t have to be scary or hard, and with all of the above options, you’re sure to find a solution that works for your skin type. Which DIY makeup remover are you excited to try first?